China has arrested 135 people in 22 provinces for illegally buying and selling vaccines, in the latest scandal shaking the Chinese public’s confidence in vaccine safety. In an online statement Friday, the national prosecuting office said arrest warrants were issued for 125 people for running vaccine businesses without license. It said 15 of them have been formally indicted, and two were found guilty. Ten health officials were arrested for on-duty negligence. The accused health officials had worked at local public health centers and knowingly bought the illegal vaccines and used them on people, the prosecuting office said. 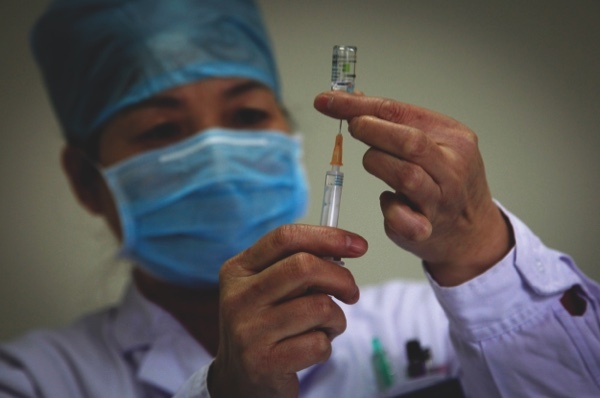 The massive investigation followed a case in March when a doctor in the eastern province of Shandong were found to have sold 2 million doses of improperly stored or expired vaccines. Media reports said she stored the vaccines at room temperature, instead of keeping them refrigerated as required. Vaccines not stored and managed properly can lose their effectiveness and may not protect people being inoculated. The vaccines in the March case included those for hepatitis B, rabies, mumps and Japanese encephalitis.